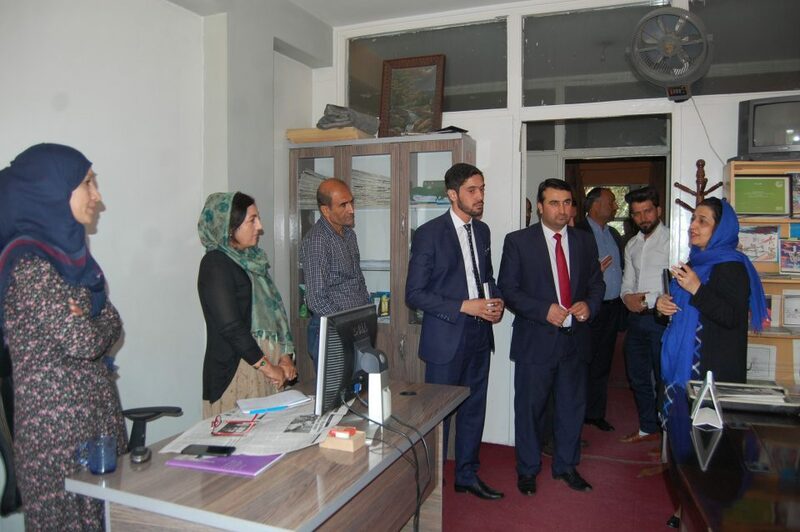 KABUL: Acting Minister of Information and Culture Hasina Safi inspected different departments of Liberty Printing Press (LPP), government dailies of Afghanistan and Baihaqi Publications here yesterday, BakhtarNews Agency(BNA) reported. According to the agency, the acting minister while looking around LPP different sections as well asgovernment dailies, was briefed byin-charges of LPP, Baihaqi publications and editor-in-chiefs of The Kabul Times, Anis, Hiwad and Islah dailies as well as Watandaran magazine on achievements and challenges of the said departments. Likewise, the acting minister heard the staff demands and problems and pointed out necessary measures would be taken to tackle their problems. In separate meetings with General Director of LPP and Director of Government dailies, including editor-in-chiefs of the aforesaid dailies and magazine as well as head of the Afghan Advertisement, Minister Safi reviewed their functions, plans and problems and ordered necessary instructions for improvement of the works, BNA added. Lauding the mentioned administrations’ efforts despite having access to limited equipment, Acting Minister said newspapers should consider national unity in their publications and include the entire Afghan nation’s views.